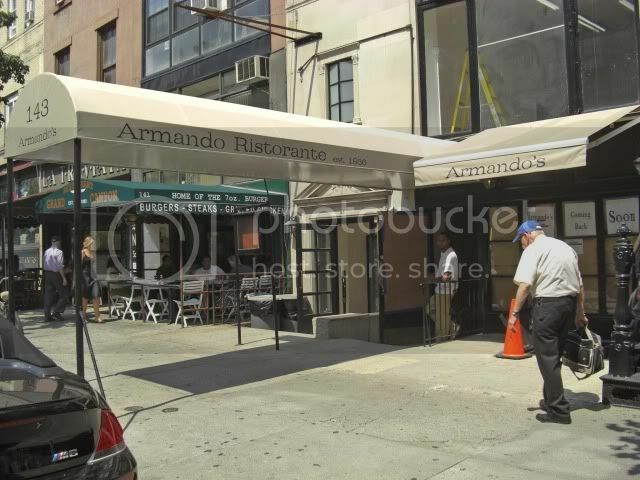 I was taking a stroll down Montague Street the other day, just checking things out and my heart burst with joy when I spotted the Armando's awning. Of course a closer inspection revealed that it wasn't yet open. I talked to a woman who was standing in the door way and looked like she was somewhat in charge. 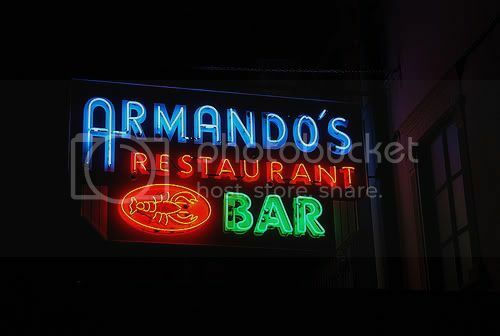 She said Armando's should be open in a week or two. I kind of doubt this, though, because when I asked if a certain bartender, Paul, would be returning she said they hadn't started hiring yet. I am guessing that you would start hiring staff further in advance than just a week or two before opening. Plus, the interior didn't look close to being completed. I asked if they would be able to re-install the landmark (my opinion only, it seems) lobster sign. She said, sadly, that she didn't think so. I suggested that it should be hung somewhere inside the restaurant but she said it was too big for that. The whole story about the lobster is kind of sad. 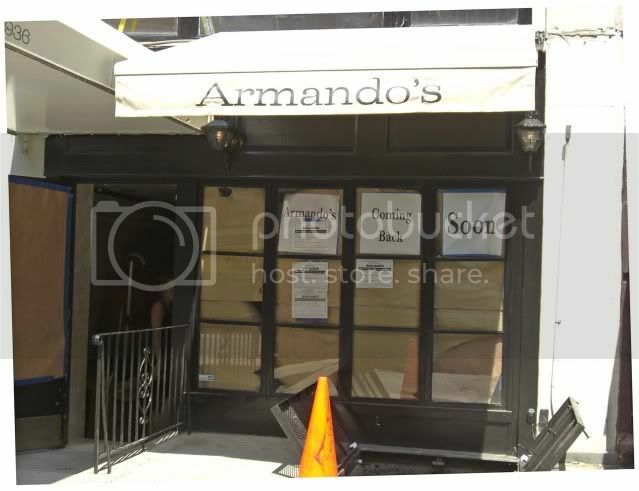 When Armando's closed and the sign came down it couldn't be put back up because it now violates some signage law. Kind of a shame. You would think if the same restaurant with the same owner re-opens they should be allowed to put their original sign back up. The building is owned by the owner of the restaurant, so that isn't the issue. Oh well, what can you do. 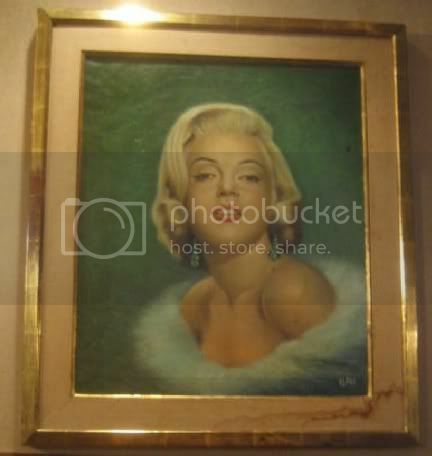 On a brighter note, the woman did say that they saved the picture of Marilyn Monroe and they would be putting that back up. 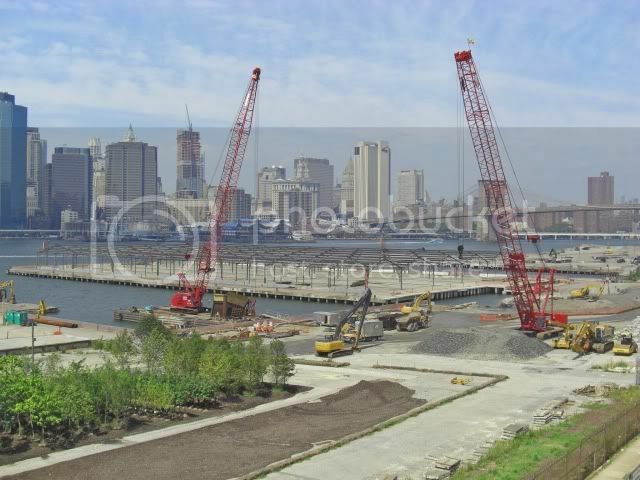 I then strolled on down to the promenade and, somewhat to my surprise, saw that a lot of work was actually taking place on the new park. Apparently, parts of the park are actually supposed to be open by the end of the year. I am not sure if the dead of winter is the best time to be opening a park, but hey, at least progress is being made. Usually the only thing you see are the signs showing what may one day appear. 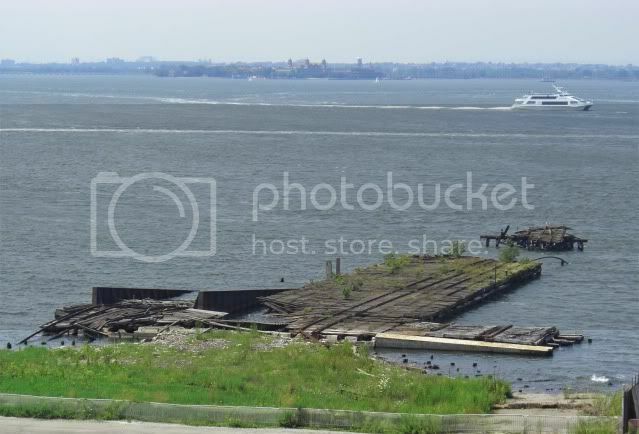 Whenever I see this broken down pier I think of that little patch of dark brown that they left when the renovated Grand Central Terminal to remind people of what the place used to look like. 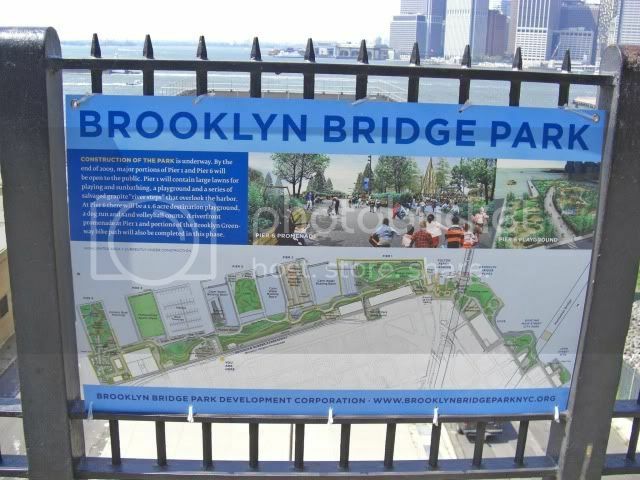 Funny thing about this park, it is supposed to be self-sustaining. In other words, once it is open the maintenance fees are supposed to be generated by fees paid by private concerns located in the park rather than by taxes. The funny part is that, at least as far as the luxury condominiums being built, these fees are being paid in lieu of taxes. So what difference does it make? Indirectly, at least, the maintenace of the park is being funded by tax revenue that is not being collected. Sightseeing done I popped into Pete's Waterfront Ale House for a pint of their daily special, Long Trail Belgian White, only $4.50 if you drink it at the bar. Then I headed down the street to the Atlantic Chip Shop. They were offering Newcastle Brown Ale's for just $4.oo during a football game between Arsenal and Celtic. Arsenal won and I was glad of that. Celtic had the stupidest looking uniforms I have ever seen. It was fine when they wore green and white, but for some reason they have switched to black and yellow. Oh, and in the category of things you just have to know, "ladoo" is an alternative spelling for "laddu." This has absolutely nothing to do with anything else in this post, but I thought I would throw it in just for the hell of it. Ask him if it is better to buy a Toyota manufactured in the United States, or a Chrysler manufactured in Mexico.